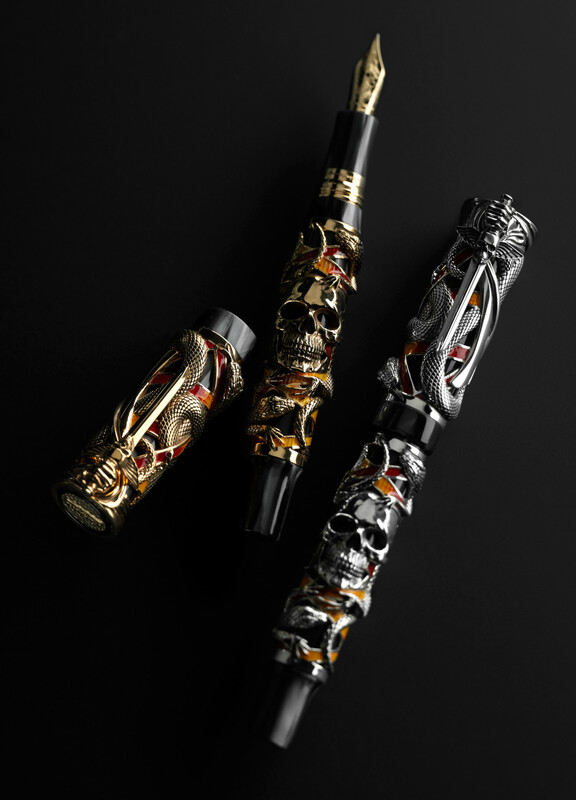 This is a limited edition Montegrappa "Chaos" fountain pen that was apparently designed by Sylvester Stallone. It's currently listed on Amazon for $67,000. This thing practically begs to be made into a magic item... but what? It can't be something as common as a pen that draws life. I mean, it's got a skull, lizards and a sword with a winged skull on it. This thing's got to be metal. If you throw out its size, maybe it could be a scroll case? But what's on the scroll? End of the world spell? True name of a demon? List of "sold" souls? That looks like the pen the Devil would hand you when signing over your soul to him.